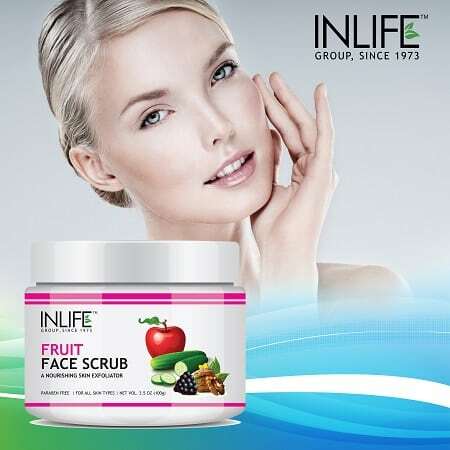 INLIFE Fruit Face Scrub is an excellent combination of fruits, nuts and herbs. It contains apple as an effective ingredient and apple is well known for its huge benefits in skin health. The infusion of cucumber and walnut gives a unique combination to this scrub. 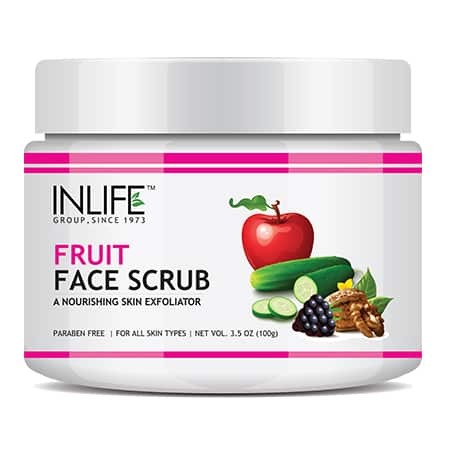 INLIFE Fruit Face Scrub is a natural exfoliator for your skin. This fruit scrub is suitable for all skin types right from oily skin to dry skin or even a combination of both skin textures. Use the natural fruit face scrub regularly for best results. Suggested Usage: Wet your face and take a little quantity of INLIFE Fruit Face Scrub onto your palm. Apply the same onto your face and neck. Massage the scrub in circular motion for 2-3 minutes. Leave it for a minute and then rinse it with cold water. Damp your face with soft towel and apply INLIFE Neem Aloe Vera Face Moisturizing Lotion for best results. Store in a cool and dry place. Natural product. No harmful chemicals. 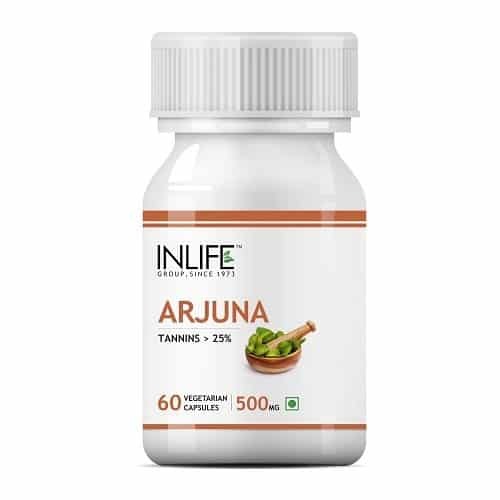 Ayurvedic Product. It is very good product..
it has a very pleasant smell contains all natural ingredients that rub your skin well while applying it. The thing that I liked the most about it is that it doesn’t leave your skin dry, but moist and vital. It helped in rejuvenating my skin after a stressful day. my skin texture has changed so beautifully it has removed my dead skin cells and helped in regenerate new cells. This product leaves my skin soft and smooth highly recommended. A great scrub 10 on 10 working excellently very much satisfied with the results. I used the scrubs to wipe away all traces of dirt oil and make up, leaving skin looking clean, and healthy. It cleanses and moisturizes your skin, and is good for sensitive skin. I opted it for cleansing and moisturizing my skin and proved correct and is good for sensitive skin. It is the perfect way to protect the skin from harmful sun rays, dust, grime and sweat in today’s fast pace lifestyle. 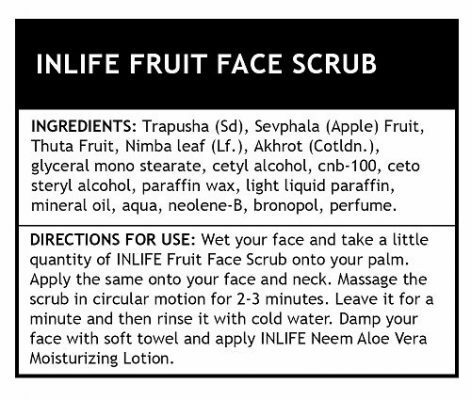 Give a try to the inlife fruit face scrub products as they are healthier and affordable.!!!! The scrub is made from ingredients like plant extracts that moisturize skin, and make your skin soft and supple. Good delivery comes on expected time. Wow! Awesome scrub it had actually removed the stubborn blackheads on my T-Zone and it is also very effective in removing dead cells.I used it weekly once from a month now and there’s quiet an improvement. The question which my colleagues used to ask me the next day of having used this scrub: Hey you did a facial, where did you get it done? ?I JUST LOVED THE SURPRISED LOOK ON THEIR FACE THE DAY WHEN I DISCLOSED THE SECRET….madams, not facial just a scrub….lol..
Superb….the best scrub that i have used till date..
i came to know about the product form my cousin it proved cleansing and purifying properties. Very very nice product, my skin is looking great after i am using this product, my friends also realizing that and asking me what is the reason..
A great scrub for weekly use. The particles are just enough to work as a exfoliater without being abrasive. Have to use light hands while scrubbing. Regular use does show a bright glow on face but I am not sure about the whitening part. First and foremost, the product delivers 100% of what it claims….smooth, radiant, glowing, clean moisturized skin without black/white heads…seems to be a magical rejuvenation happening on your face in hardly 15-20 minutes. I can seriously tell you peeople Say goodbye to dull and lifeless skin and experience a breath of freshness for your skin. Personally, I did find this scrub is great. This scrub has really thin macro and tiny granules and my skin is really sensitive. I need a scrub which is milder. So, I think that INLIFE products would be good and will suit my skin as well. As in days passed it did wonders on my skin I felt very good after using this product and I strongly recommend people with sensitive skin should grab this product soon. 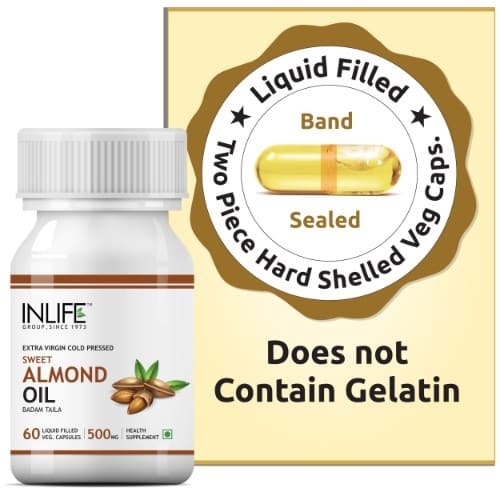 I have used this one from INLIFE products a couple of times before reviewing and found it ideal for my skin type texture wise as well as results wise. It gives me brighter looking, supple skin and helps in removal of fresh tanning too. I use it on my hands and neck too. It is creamy but did not break me out. This one is a must try as it gives good results and quality at a very budget friendly price. THANKS INLIFE FOR SUCH A FRIENDLY PRICE. It is very travel friendly and easy to use. The opening is huge which makes sure that only a considerate amount of scrub comes out whenever you want. As far as the scrub is concerned this one is a thick creamy kind which resembles similar scrub products that are available in the market. Its fragrance is mild so any one who is allergic to high and strong fragrance may find it good. The color is the scrub is baby pink in color with lots of granules, so I think this scrub might be very perfect for sensitive skin and should be avoided during break outs. As far as the quantity of this product is concerned then I would say that this is awesome which is good as compared to its price. This product seems good for all skin types. Till now I have used this product 2-3 times and my skin has not developed any kind of skin allergy or break outs. I am not sure. I mean, it did impress me alot. As I already said that there are far better products available in market, I may not try some other beauty scrubs available in the market and may skip other products. I PERSONALLY THANK INLIFE. One of the best scrubs to use which makes the skin soft and helps remove tan. I’d suggest this scrub for all skin types coz mines sensitive and it does a great job!! Overall this scrub for perfect for everyday use & won’t be much effective for non- frequent users. It is creamy & softer comparatively & would be best suited for sensitive skin types. THANK YOU INLIFE. I have been looking for a facial scrub for a very long time. I used to use all types of stuff back in the day, but it is too harsh. I absolutely LOVE this Scrub! I am now a loyal fan. I have oily but relatively sensitive skin and this is just the right amount of exfoliation without drying or irritating my skin. My skin just feels really smooth and clean afterwards. 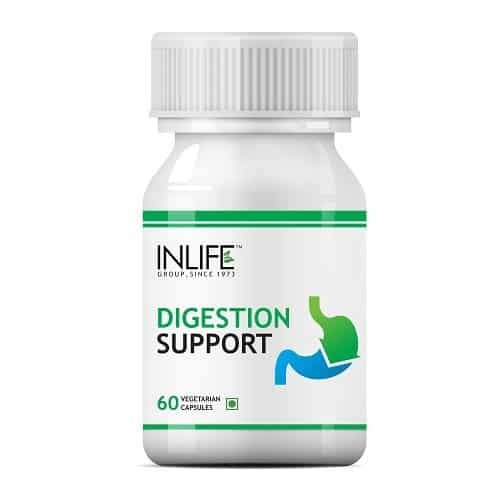 THANKS TO INLIFE. It is also helped me in useful in curing skin diseases. Refreshes, Deep Cleanses and Removes Blackheads. Believe not much explanation is required on the importance of a face scrub in our skin care routine. It refreshes and cools and removes the dullness of skin appearances . I have been using this product since last 2 years and still using it. The bring a glow to my face and makes the skin so soft for another 2 days. Totally recommend to buy this product.